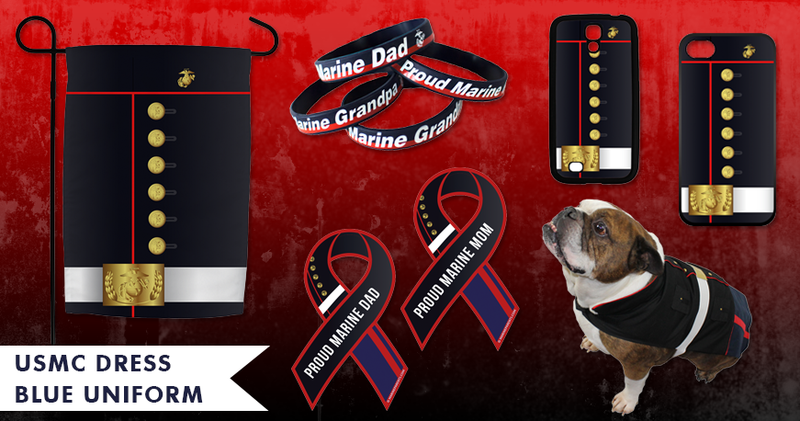 The history of the Marine Corps flag is long and diverse. Learn more in our first piece. 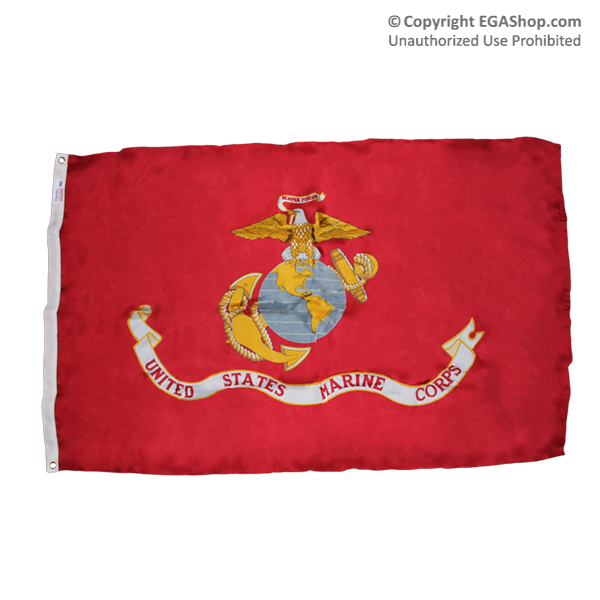 During the 1830s and 1840s, the flag carried by the Marine Corps consisted of a white field with gold fringe and the design of an anchor and eagle in the center. Before the Mexican-American War, this flag bore the legend "To the Shores of Tripoli" across the top. After the war, the phrase was revised to: "From Tripoli to the Halls of the Montezumas." 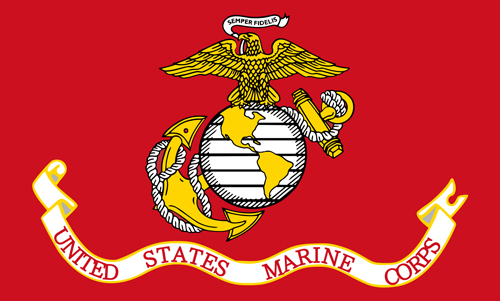 *Image info: The Marine Corps flag (public domain image/released). This week's featured volunteer is a proud Marine mother from Maine--Trisha Weiber. 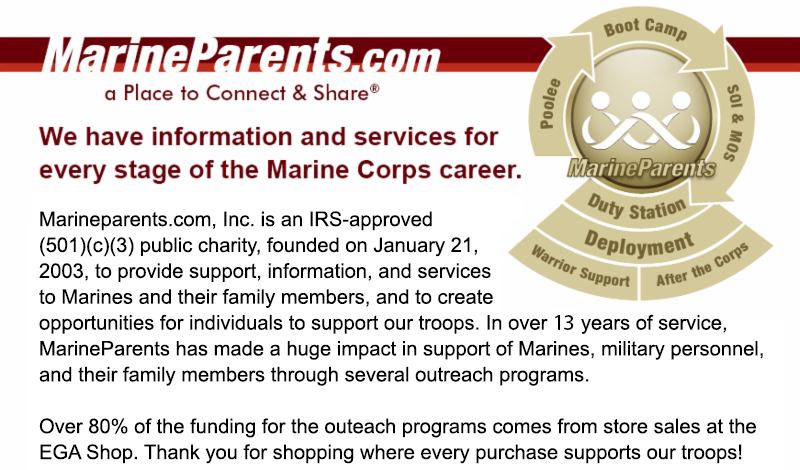 Trisha has been a volunteer with Marine Parents since July of 2015, initially serving as a Platoon Parent while her son was at MCRD Parris Island. She currently serves as the Battalion Leader for 3rd Battalion, Parris Island, and she loves her job. Paying it forward is important to Trisha and she enjoys working with what she describes as an "incredible" group of volunteers. Trisha has always enjoyed helping and supporting others, so when she was asked if she would like to volunteer with Marine Parents, she said "absolutely." 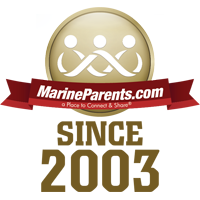 According to Marine Parents ' Facebook Groups Manager , Teresita Reynolds , "[Trisha] has made a positive difference in the lives of so many Marine Parents Facebook members and volunteers-as she has in mine." 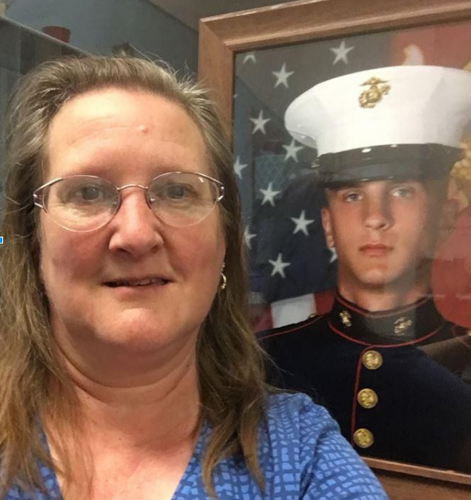 *Image info: Trisha Weiber next to a picture of her Marine son. (Image used with permission). Last month, on the morning of June 29, Lance Corporal Troy Yakin a landing support specialist with 1st Battalion, 7th Marine Regiment, and two Marines from his unit were visiting Del Mar Beach aboard Marine Corps Base Camp Pendleton, California. Not long after arriving, however, their relaxing day at the beach took a dramatic turn. 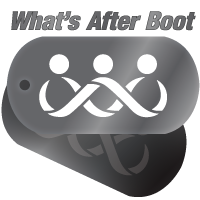 That someone was Senior Chief Hospital Corpsman Ralph Duron, senior enlisted leader, 21 Area Branch Clinic, Naval Hospital Camp Pendleton, who was at the beach to do some surfing. After trying to side-stroke his way out of the rip current with one arm, Duron began to call for help. Upon hearing his cries, Yakin reacted in typical Marine fashion and charged into the ocean to assist the injured sailor. “He flew in out of nowhere and put his life at risk by going into this rip current to swim us both to safety,” Duron said of Yakin. “Throughout his rescue, he reassured me and pulled us both out of the situation." *Image info: A Marine from Wounded Warrior Battalion-West surfs as part of an Ocean Therapy Seminar at Del Mar beach on January 26, 2016. (USMC photo by Private First Class Emmanuel Necoechea). Marines in slow-promoting Military Occupational Specialties (MOSs) are being offered the opportunity to make a lateral move into one of 10 MOSs that will offer quick promotion opportunities. These lateral move and promotion opportunities are a part of the Marine Corps' Intended MOS Promotions program for 2017, which starts October 1, and will be available to hundreds of first-term Marines. *Image info: Staff Sgt. 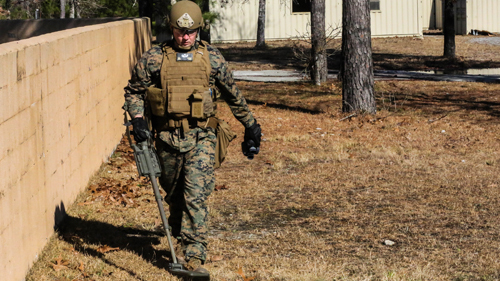 Chaz Carter, an Explosive Ordnance Disposal technician with EOD Company, 8th Engineer Support Battalion, searches the area during an improvised explosive device access training exercise aboard Camp Lejeune, N.C., Jan. 29, 2016. During the exercise, evaluators assessed Marines on safely locating and disposing of an IED while suppressing the full capabilities of the threat. (USMC photo by Lance Corporal Aaron Fiala). 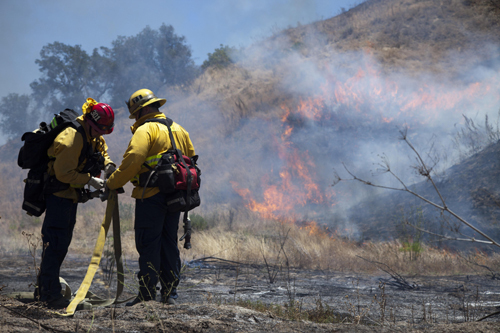 Over the past week, firefighters have been battling a wildfire at Marine Corps Base Camp Pendleton. According to Lieutenant Abigail Peterson, CalFire and military fire crews, assisted by aircraft, had the fire more than 65% contained as of Saturday, July 24. Peterson also said that there has been no threat to personnel or structures since the fire began last Thursday, July 21. 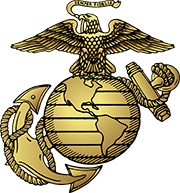 Seventy-two years ago this week, on July 24, 1944, the V Amphibious Corps, a formation of the United States Marine Corps composed of the 3rd, 4th, and 5th Marine Divisions, landed on Tinian, in the Mariana Islands during the Marine Corps' Pacific Campaign in World War II. 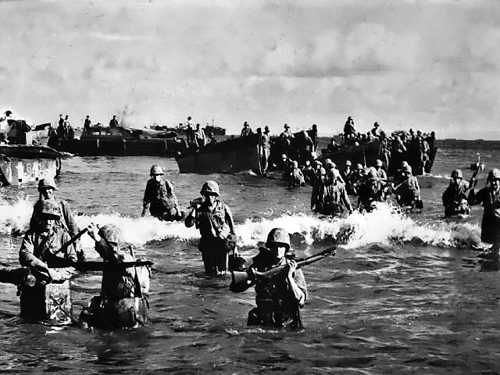 The following morning, under the command of Major General Harry Schmidt, the 2nd and 4th Marine Divisions began a shoulder-to-shoulder sweep of the island. Organized enemy resistance faded within a week, and on August 1, Major General Schmidt declared the island secure. Sixty-nine years ago this week, on July 26, 1947, the National Security Act of 1947 was enacted, reaffirming the status of the Marine Corps as a separate military service within the Department of the Navy. The act provided for Fleet Marine Forces and confirmed the Corps' mission of seizing and defending advanced bases, as well as land operations in support of naval campaigns. *Image info: (Public domain image/released). United States Marine Corps Brigadier General John A. Lejeune assumed command of the U.S. Army's 2nd Division in France during Worle War I. Lejeune remained in that capacity until August the following year, at which point the unit was demobilized. 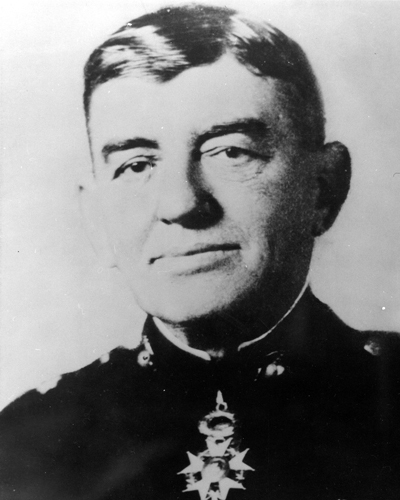 Lejeune was the first Marine officer to hold an Army divisional command, and following the armistice that ended the war, he led his division in the march into Germany. *Image info: General John A. Lejeune. (USMC photo/released).